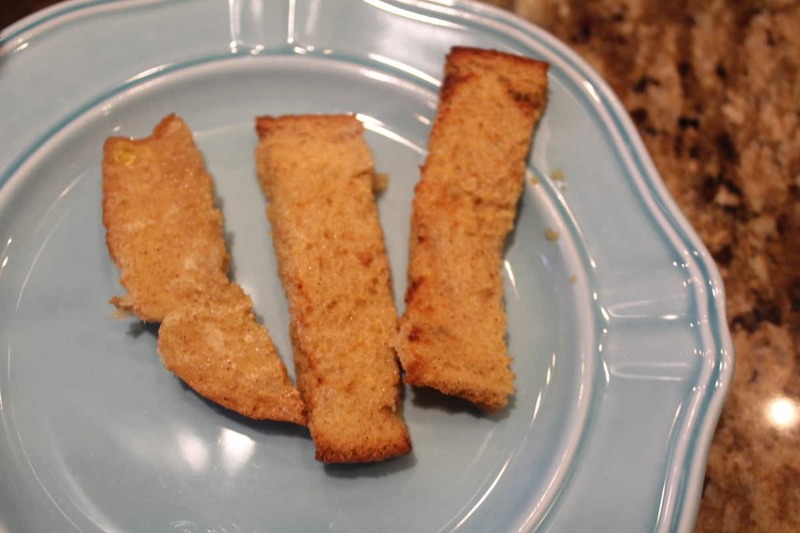 This is one of the easiest breakfast recipes, that I have found for French Toast. 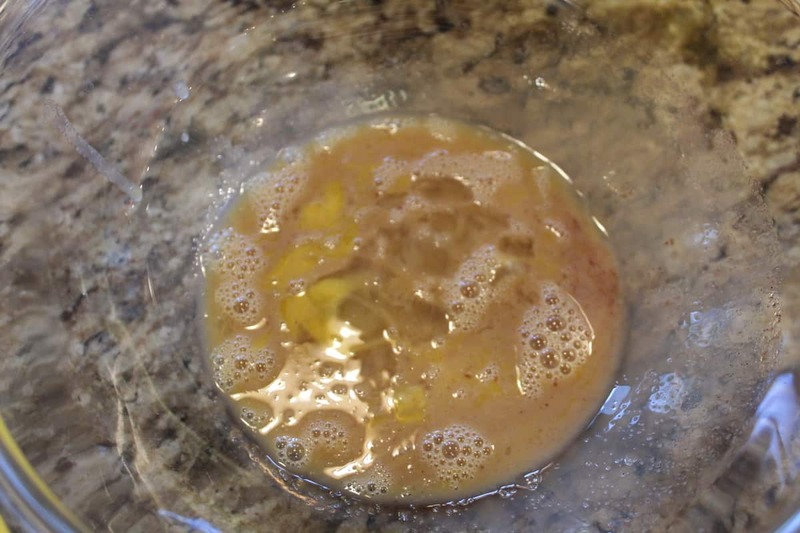 The batter is rich and creates a nice and light batter, that when I combined it with air frying, it came out nice and fluffy. 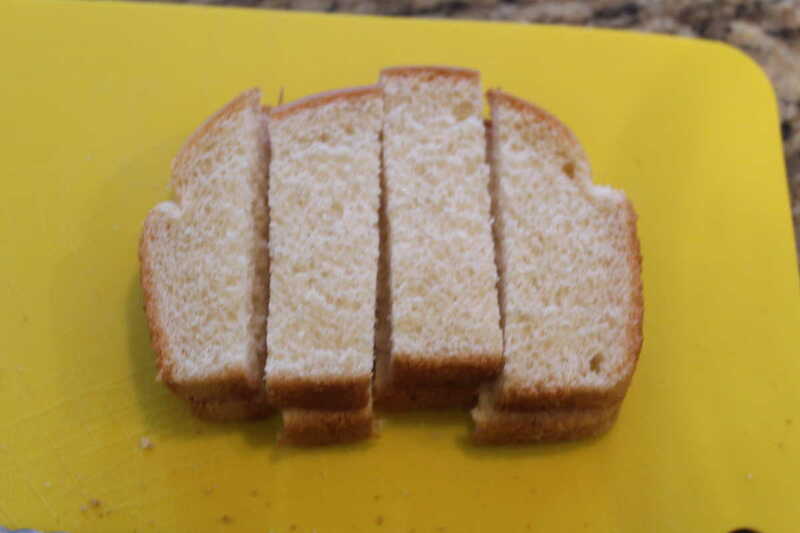 Cut your bread into 4 ths. Lay them in, mine stuck a bit, so I wish I used parchment paper. 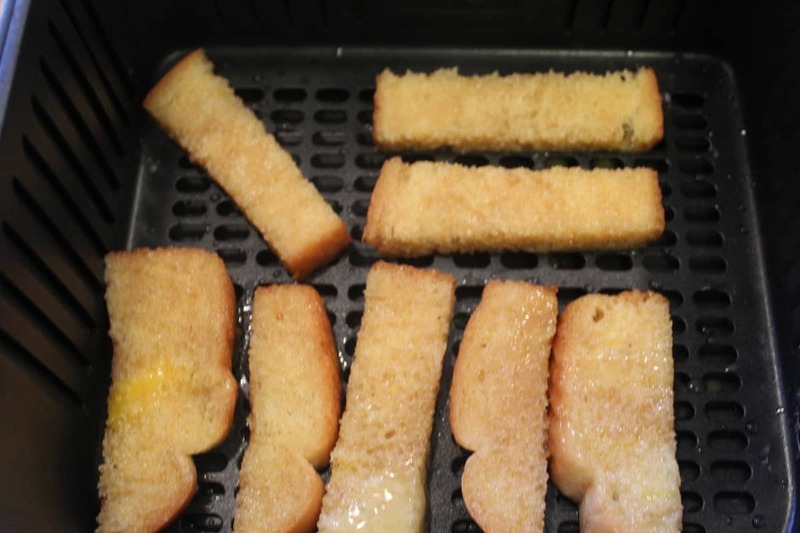 Delicious after 5 minutes at 320 degrees F.
Slice each bread slice into 4 pieces. 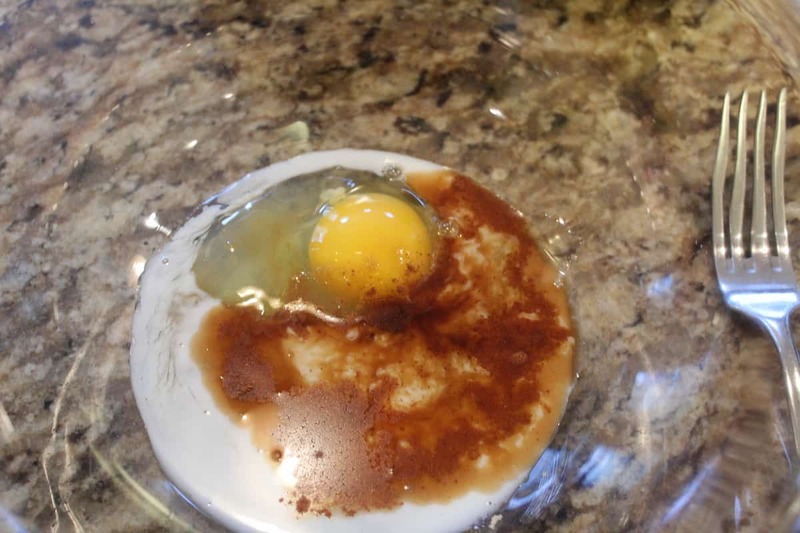 In a small bowl mix together the eggs, milk, brown sugar, honey, vanilla, cinnamon, and nutmeg, beat until the eggs are broken up and everything is mixed well. 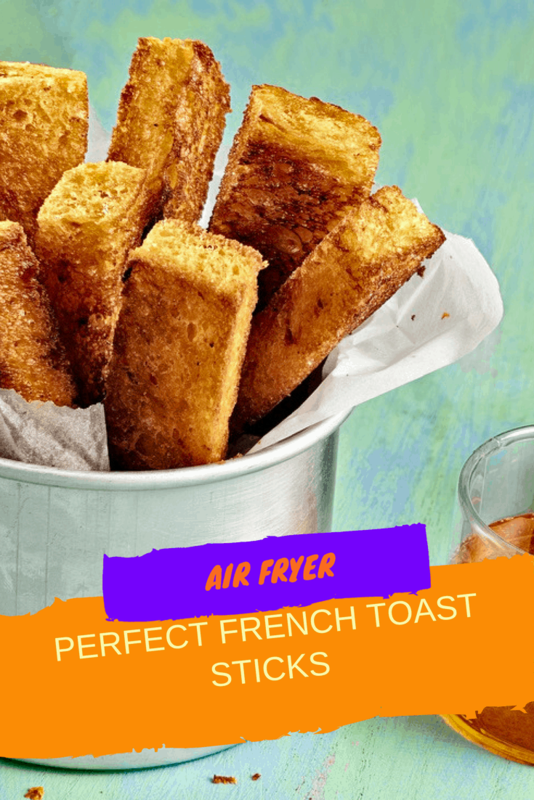 Then dip each french toast stick into the mixture and then shake to get the excess off, as you do, line them up in your Air Fryer Basket. 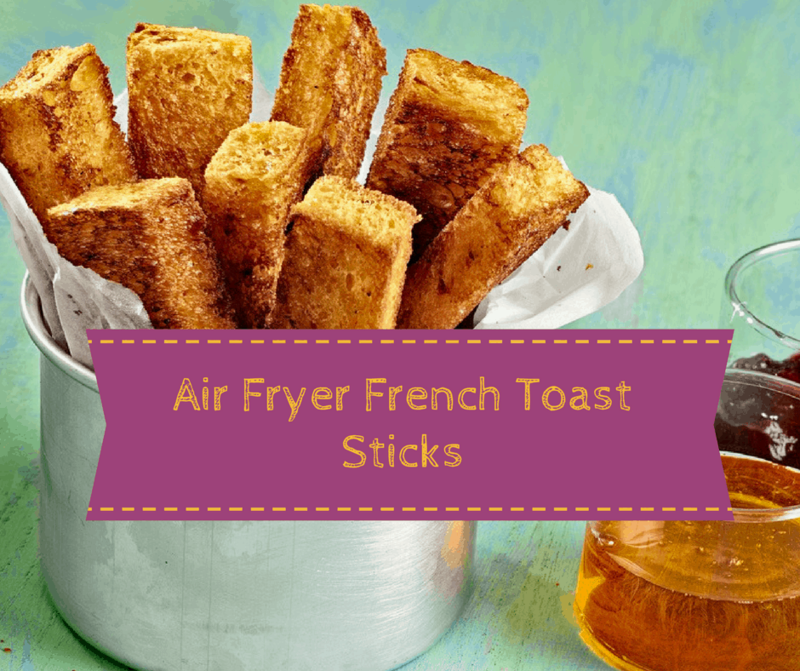 Air Fryer for 2 minutes at 320 degrees F. Then flip them over and do another 3 minutes.